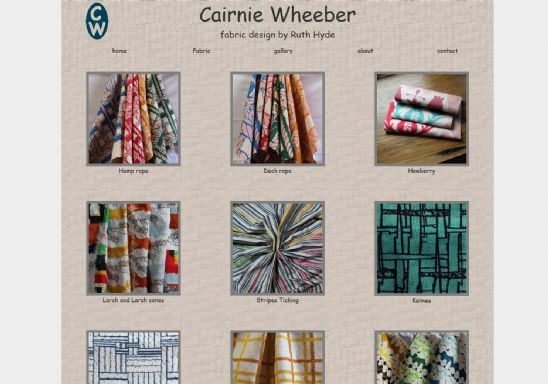 Cairnie Wheeber is a fabric design company run by Ruth Hyde. Based in Aberdeenshire, Ruth supplies her own designs printed on linen and cotton fabrics. The website allows people to see a gallery of those fabrics, it's very colourful! A prime example of a small business based in Scotland, with an authentic product, using the website for people to view the designs and lead to contact for purchase. A great use of a .scot domain name!